When in 1919, Robert was called out by a frightened country doctor in the dark night of a prairie winter to assist with an emergency appendectomy he had none of the armoury of today's physicians and surgeons; it was miles by sleigh to the nearest hospital, there was no communication, no antibiotics, no anesthetic. There was only his experience and skill as a surgeon. He was ready to operate on a gaslit kitchen table in an isolated farmhouse but was immediately caught up in a tragedy, an ethical dilemma where all of his life experiences, values and skills as a physician and surgeon were put to the test. Was he about to become an unwilling accomplice to medical manslaughter? What more could Robert have done to prevent the horror that ensued when another doctor’s incompetence was compounded with stubborn pride? MEDICAL MAN is set in the wild west of frontier medicine in Alberta during the early years of the 20th century. 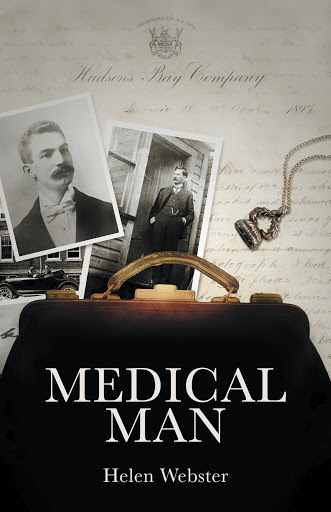 The story begins in 1900 when T. Robert Ross leaves his position as a Hudson's Bay Company trader to marry "the prettiest schoolteacher he had ever seen" and to study medicine in Kingston Ontario. In 1909, he and his young family join the flood of immigrants traveling to the new western provinces where he builds a small hospital and begins to practise medicine in the isolated prairie town of Bow Island. This captivating tale follows Robert and his family to Lethbridge, Coleman, and finally Drumheller. Robert's life and medical career span nearly a century of powerful events in Canadian and world history throughout the era often called the "golden age of medicine" for its remarkable discoveries and changes, including the introduction of what was then called state medicine.